This week I was reading through my most recent issue of Worth Magazine. I enjoy their take on alternative investments. As those of you who know me will often hear me say that every commercial real estate investment needs to be assessed in terms of the next best alternative for those investment dollars. Pretty impressive accolades. The article went into a detailed interview with Gail Miller and her decision to place the Utah Jazz into a Legacy Trust making a big commitment to her hometown. Most things I read are from the angle of the impact on commercial real estate investment and as I look at the reasons Salt Lake City is on their list I note that these are many of the reasons that commercial real estate investors choose in any particular market. The full text of the article is below but I highly recommend going to the link above. When Utah Jazz owner Gail Miller decided to place the NBA team in a legacy trust, she was making a commitment to her hometown. For most of its 170-year history, Salt Lake City was known primarily as the home of the Mormon religion, a conservative Christian sect whose collective industriousness made the desert bloom in a valley surrounded on all sides by breathtaking mountains. These days Salt Lake is turning into another type of paradise, luring both millennials and retirees from all over the country who appreciate its health-conscious, sporty, laid-back vibe. The metro area, with more than 1 million residents, boasts broad city streets, bright sunshine and a sparkling clean downtown whose center remains Temple Square, home to the 19th-century Salt Lake Temple, the neo-Gothic Assembly Hall and the domed Mormon Tabernacle. The state’s population is the fastest growing in the nation, with its current real GDP growth rate at 3.4 percent, compared with a national average of 1.6 percent last year, according to the Utah Economic Council. Employment grew by 3.6 percent last year. Salt Lake is also fast becoming a major convention-center city, especially for the controversial multilevel marketing industry that has long had close ties to the state. When Worth visited Salt Lake in June, a convention for Young Living, an MLM company that markets essential oils and is headquartered in Lehi, Utah, was drawing 30,000 conference attendees from around the world. Mormons no longer dominate Salt Lake, making up only around 40 percent of the population. Politically, the state is staunchly Republican with a Western independent streak, leading 21 percent of the state’s voters to cast their ballots for third party candidate Evan McMullin in the last presidential election. Salt Lake City, meanwhile, is a liberal haven that has one of the largest gay populations in the country; the city’s mayor, Democrat Jackie Biskupski, is a gay daughter of Catholics who grew up in Minnesota and decided to move there after a ski trip to the nearby mountains. As Salt Lake lurches from its sober religious past to its modern future, it does have one unifying obsession: the Utah Jazz, the NBA basketball team that has called the city home since 1979, when it moved from New Orleans. The Jazz have been owned since 1985 by the Larry H. Miller Group of Companies, which paid Sam Battistone $8 million for a half stake in the team, and then a year later paid another $14 million for the second half. The Miller Group owns 80 other businesses including auto dealerships, movie theaters, a minor league baseball team and an auto financier. Its chairman is Gail Miller, who, with an estimated $1.2 billion worth, became the wealthiest person in the state after her husband, Larry, died in 2009. In January, Miller did something with the Jazz without precedent in modern sports: She placed the team in an irrevocable legacy trust. Why is that important? Well, while other sports teams may be jostled from city to city, the irrevocable nature of the trust ensures that it can’t be dissolved. As a result, the Jazz can never be sold and will remain a fixture in Salt Lake City, where they are an important part of the local economy. Salt Lake City’s Vivint Smart Home Arena, which is home to the Jazz and was also placed into the trust as it undergoes extensive renovations, is expected to generate $4.4 billion in revenues for the area between 2015 and 2041, according to U.S. commercial real estate services firm CBRE. 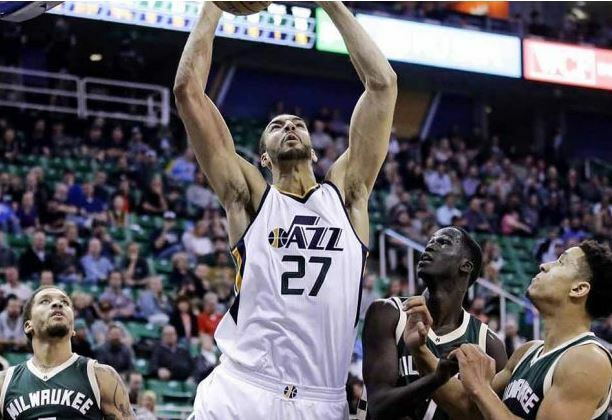 The Jazz alone are valued at $900 million, according to Forbes. And placing both in the trust shields them from creditors and inheritance taxes. This groundbreaking move is all part of the stewardship that Miller says stems from her Mormon faith. Worth recently talked with Miller at Salt Lake City’s Zions Bank Basketball Center, where the team practices, to discuss her hometown, why the Jazz matter and how they came to be placed in a trust. Q: You grew up here, then moved away, then came back and helped start a business empire. now there’s this—the legacy trust. Can you walk us through the history a little bit? A: Larry and I were both born and raised here. We didn’t know each other until we were 12, and we married at 21. We moved to Colorado because he played softball, and an amateur team in Colorado recruited him. He had to get a job, so he interviewed with a Toyota store there and got the job. It was new in the U.S. This was 1970. He built that up from one store to five. We were frugal. We’d grown up poor. We only lived on what we needed, so we put that money away and invested. We knew we’d come back to Salt Lake City. In 1979, we happened to come back for a family vacation and visited a friend who owned a Toyota store. Larry always asked him, “When are you going to sell me your store?” That day, he asked the question again, and the man said, “How about today?” That was how we bought that first Toyota store. We did not intend to build an empire. We thought we’d have one store. It would be enough to keep us secure for a long time. When did buying the Jazz become a possiblity? The Jazz moved to Utah the same year we moved back from Colorado. By then we had five children, and we were busy building our company. In 1985, there was danger of the Jazz leaving—the owner had a buyer from Minnesota who was ready to take them. So the general manager called Larry, and Larry said, “I’m interested in keeping the Jazz,” because he understood how important the team was to the community as a business. The GM came down and talked to Larry, and that’s what started our interest in the team. Salt Lake City is obviously a special place for you. What do you love about it? It’s a very big city, but it’s small enough that people know each other. The real charm of Salt Lake City is the heritage that came with the pioneers, because they came with a work ethic that they were all in this together, and they were going to build something worthy of their effort. It was a desert when they came. There was one tree in the valley and a river that came out of the mountain that they used to irrigate the fields. The people have carried on that tradition. When I look at the Jazz and the way they unify this city—it’s something that everybody can get behind and feel good about. So the Jazz are the pride of Salt Lake City? They are. If the Jazz ever left, Salt Lake is not going to attract another major league team. We have to be really frugal about how we run the team and how we spend the money, and be creative in getting good players and keeping them. If the Jazz left Salt Lake, what impact would that have on the city’s economy? It would be devastating. Because they’re an infrastructure for all of the businesses downtown. They promote business. They draw people into the city to buy things, to spend money at dinner, to go to the game, buying products and paying taxes. It’s a big impact. The other thing is that we don’t draw financially from the city, because we built our own arena. So what made you decide to put the Jazz into a legacy trust? This came up as a way to not have to worry about passing it on. The best solution we came up with was the legacy trust. The team is going to be there for as long as it can last. There will be enough money in there to take care of the expenses. I don’t have to worry about it. It’s still run by our company, but it’s not owned by me. It’s owned by the trust, which is irrevocable. No. And the kids are fine with it. They believe in it. They know how important the team is to the community and how important it was to their dad and what it cost for us to do it. The Jazz constitutes a substantial part of your net worth. Does their new status in the trust mean that the team is no longer considered part of your net worth? So you’re not the richest person in Utah anymore? It’s an awful moniker. We don’t need all the money we have. We just want to be able to make life good for as many as we can. What about the NBA? Did the league have concerns about the structure? We worked with them for 18 months. We were blazing new ground. They are very careful about who can see into their world and what might be exposed by what the owners do. One thing they don’t want to have happen is for the trust to be able to transfer to a foundation. A foundation is vulnerable to government scrutiny. The way I want my estate to work is that when it comes to the end of my life, everything will be sold and all of the proceeds will go into our family foundation and be used in perpetuity for charity. We’re not leaving anything to our children. So in order for us to put the Jazz in a trust, we had to assure the NBA that it would not be sold or ever be given to the charity. Because it’s in a trust, not a charitable foundation, the team is still a for-profit entity, right? So those profits are plowed back into the trust but you don’t have to pay taxes on them. Do you feel you’ll be competitive in terms of having money for player salaries and attracting talent? What reaction have you gotten from people in Salt Lake? I think the players, too, are quite pleased. I don’t know that it impacts them like it would the management, the staff, the coaches, because their jobs are to stay here and make it work and not have to worry about whether the team’s going to go. Have you found any resistance from players not wanting to live in Salt Lake City? There are some things that basketball players who like the nightlife talk about. But it’s not sterile here. It’s not just Mormons. In fact, Salt Lake is only around 40 percent Mormon. Our mayor is a gay woman. We have two councilmen who are gay men. It’s really changing and becoming more open and tolerant. The interesting thing about the Jazz players is that they may balk when they get traded to Utah because they don’t understand it, but once they get here, they’re treated as royalty. The fans are fantastic. They are so dedicated. We are a great basketball town, and we raise our own fans, because we have a Jr. Jazz program that has 60,000 kids in it. That teaches them basketball and builds the fan base to continue loving the Jazz. Your ancestors were some of the original Mormon settlers here? They were converted and came to Utah [from Denmark and England] in the 1800s. How has your Mormon faith affected your decisions with regards to the Jazz? It sounds corny, but we really feel like what we have is our stewardship, that it doesn’t really belong to us. That somebody out there is watching over us and saying, “You are taking care of it in a way I would like it to be done. You’re doing good things with it. I’m going to help you get more.” That’s the way we’ve looked at our life, that the more good we do, the more comes to us, and then, the more responsibility we have and the more good we can do. In fact, before Larry died, he said, “Wouldn’t it be great if everybody in the world would go about doing good until there was too much good in the world?” Now, think about that. If there was too much good in the world, how would that be?